Following Perthshire based author Helen Grant on Twitter not only entertains with images of how the family cats contribute to the creative writing process, it also provides a fascinating insight into how Helen continually builds up her research and ideas for her writing. 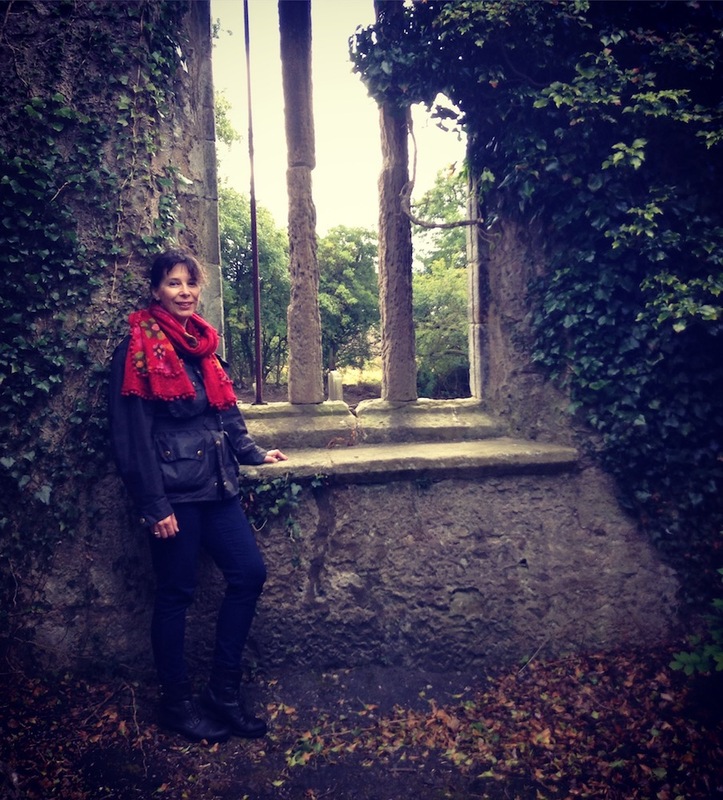 With an eye for the gruesome and gothic, Helen records her travels with snaps and tweets of great images of abandoned churchyards, grimacing gargoyles and derelict doorways as she visits castle ruins, country houses, galleries and libraries, constantly contributing to her research. Knowing all this will mean that her soon to be (and seventh) published novel ‘Ghost’ is a psychological mystery with Gothic elements, deaths, gruesome discoveries and a romance too – something for everyone! ‘Ghost’, published by Fledgling Press, based in Edinburgh, is Helen’s first novel set in Scotland, and in particular Perthshire, many of the locations described in the book may be familiar such as James Square in Crieff and Torlum Hill. Although ‘Langlands House’ is fictional, it was inspired by Helen’s experiences of researching abandoned country houses, the sites of some visited by Helen featured in the ‘Lost Houses of Perthshire’ exhibition held at Perth Museum & Art Gallery last Autumn. 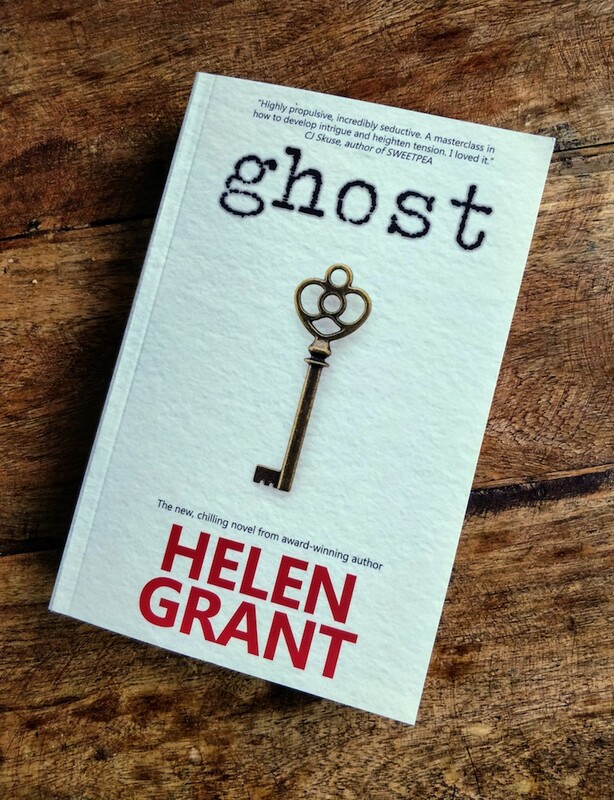 You can meet Helen in person, ‘Ghost’ will be launched locally at Waterstone’s in Perth on Thursday 22nd February, starting at 6.30pm, entrance is free and everyone is welcome. Helen will be there to read a short excerpt and chatting to book publicist Helen Lewis-McPhee and there’ll be a chance to buy a signed copy. Click Perth book launch event details for details. In addition to her writing, Helen is currently working at the Royal Literary Fund Fellow at the University of Stirling and more details about her previous novels can be found on her Helen Grant Books website. Augusta McAndrew lives on a remote Scottish estate with her grandmother, Rose. For her own safety, she hides from outsiders, as she has done her entire life. Visitors are few and far between – everyone knows that Langlands House is haunted.One day Rose goes out and never returns, leaving Augusta utterly alone. Then Tom McAllister arrives – good-looking and fascinating, but dangerous. What he has to tell her could tear her whole world apart.As Tom and Augusta become ever closer, they must face the question: is love enough to overcome the ghosts of the past? In the end, Langlands House and its inhabitants hold more secrets than they did in the beginning. There’s also an Edinburgh book launch on Thursday 1st March, 6.30-8pm at Blackwells’s Bookshop, South Bridge, Edinburgh.